A 'Maya' girl sits on an altar during the traditional celebration of 'Las Mayas' on a street, in central Madrid, Spain on Sunday. The festival originates from pagan traditions and dates back to the Middle Ages, taking place annually at the beginning of May to celebrate the beginning of spring. 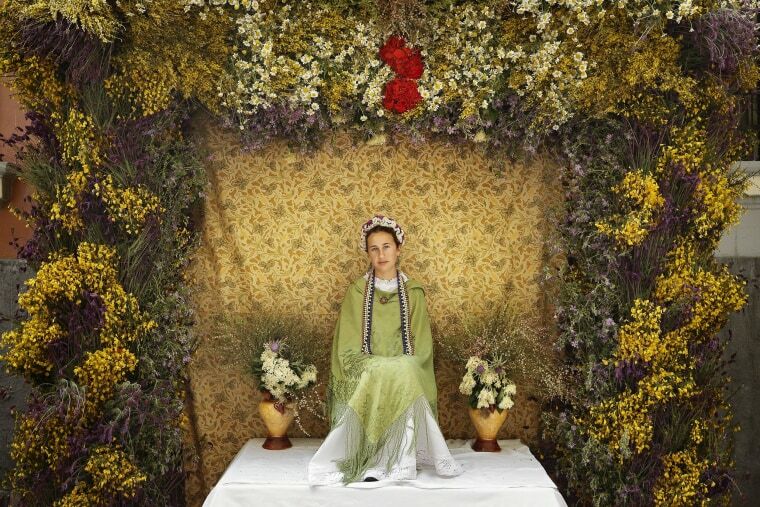 A girl aged between 7 and 11 is chosen as 'Maya' and is required to sit still, serious, and quiet for a couple of hours on an altar in the street, decorated with flowers and plants. They then will attend a church service with their family.